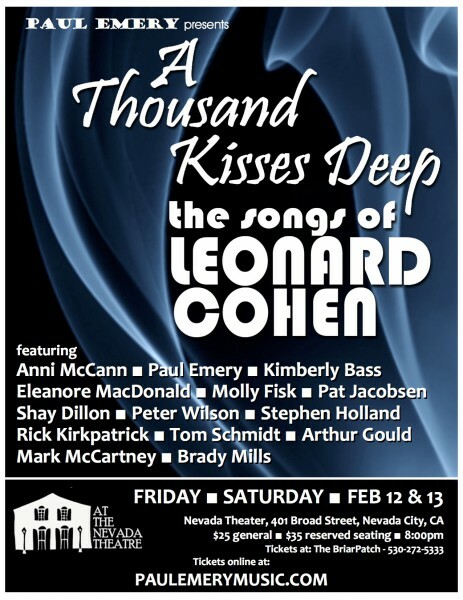 Paul Emery presents a reprise of his triumphant tribute to Leonard Cohen. One of the most fascinating and enigmatic singer/songwriters of the late ’60s, Leonard Cohen has retained an audience across four decades of music-making interrupted by various digressions into personal and creative exploration, all of which have only added to the mystique surrounding him. Four decades after he emerged as a public literary figure and then a performer, Cohen remains one of the most compelling and enigmatic musical figures of his era, and one of the very few of that era who commands as much respect and attention, and probably as large an audience, in the 21st century as he did in the 1960s. As much as any survivor of that decade, Cohen has held onto his original audience and has seen it grow across generations, in keeping with a body of music that is truly timeless and ageless. In 2006, his enduring influence seemed to be acknowledged in Lions Gate Films’ release of Leonard Cohen: I’m Your Man, director Lian Lunson’s concert/portrait of Cohen and his work and career. A performance set, Live in London, was released in 2009. In 2010, the DVD/CD package Songs from the Road was issued, documenting his 2008 world tour and revisiting songs from each part of his career. The tour covered 84 dates and sold over 700,000 tickets worldwide.